To say Third Son has had a prolific 2015 would be bordering on understatement. The young Welshman has made one hell of an impact with an impressive string of releases for the likes of Noir, Suara, Go Deeva, Sincopat, Einmusika, Underground Audio, MadTech and 303 Lovers bringing him as close to ubiquity as any new kid on the block could hope for. We at Selador however, believe that we might just have managed to bag his best work to date with an inspired EP built from the finest ingredients this side of an Heston Blumenthal menu. Captaining the side is 'Darker Side Of The Moon' which has been a secret weapon in Mr Seaman's sets for the last few months with it's chugging bass and peak time, cascading melodies. If you ever needed to capture the very best of what Third Son does, hear this. Playing the crucial supporting role comes 'Colourblind'. Another sub-Moroder driven slice of chunkiness which ironically delves into slightly darker territories than it's predecessor. Pretty sure that's the main man on vocal duties there too. Yet another weapon in his firepower. First up on remix duty, we welcome Petar Dundov into our ever growing Seladorian clan. The big Croatian is a safe pair of hands in the remix game and his trademarks are all over this interpretation of 'How I Feel', which was Third Son's acclaimed contribution to our recent Selador Showcase compilation. A perfect match. 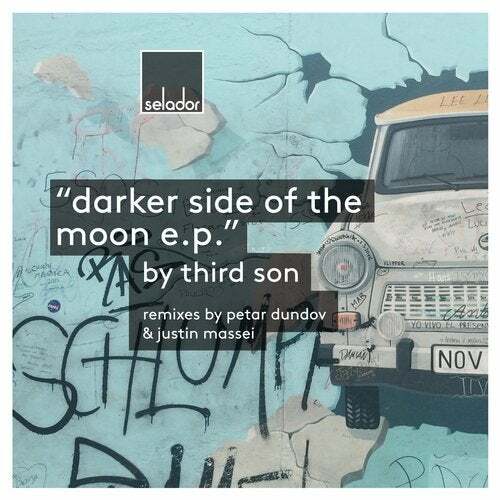 Justin Massei completes the line up to remix 'Colourblind', returning the favour after Third Son had remixed Justin's 'Nothing Can Hide' on his recent Selador release. Aww, group hug ;-) This mutual back scratching however, has resulted in something special as Justin turns on the Berlin vibes. Proper late night action. With so much talent on show, it's harder than ever to pick a winner and remember, it's not just the taking part that counts!